StartP is a React and Bootstrap 4 based Professional website template. This has been built with React, ES6+ and as framework Next.js and Express.js. This is created especially for individuals and agencies who provide IT Solutions and Software Services through online. The template contains multiple unique design variations in the home and other pages for the website. Mobile First Design of the template looks beautiful stunning on all types of screens and devices. 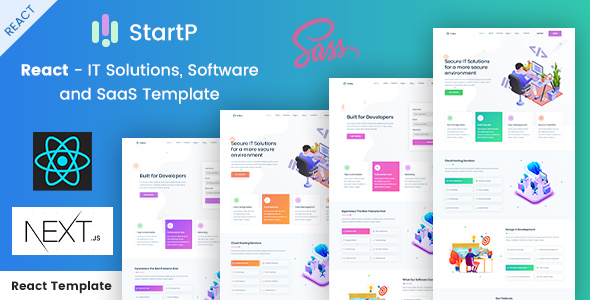 Individuals or Agencies who are providing Web, Mobile, eCommerce, AI, Machine Learning or Digital Marketing focused services could love the StartP template for their existing or next business website! Images are only for demo purpose and not included in the download bundle.